Do you know what is amazing? And I’m still feeling so privliged. My art was on show alongside world class collectible brandnames like Jim Shore and Lenox at the Walt Disney Classics Collection 2011 Grumpy Fall Premiere Event hosted by Castle China in Warwick. 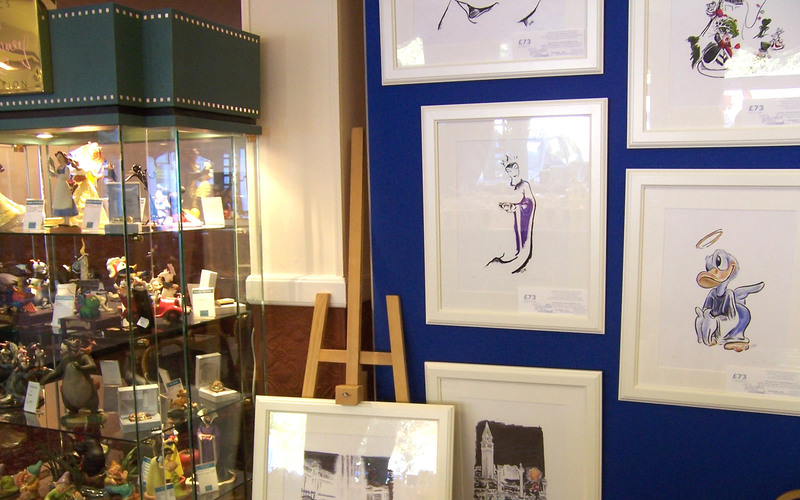 And all of my framed still-lifes of the WDCC sculptures in this photo, got sold on the day!